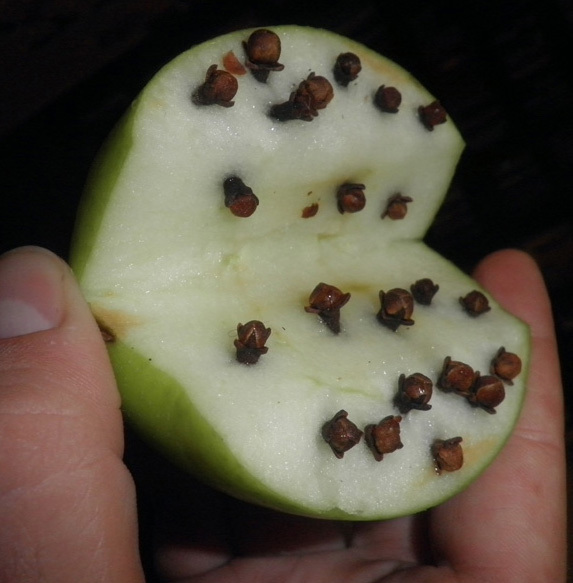 Take your half apple and cram all the cloves into the meat of it (shown below). Bring the cider, 1 cup of Snap, cinnamon, vanilla and your clove apple (meat & clove-side DOWN) to a slow boil over low heat. Cover, and allow it to simmer for about 10-20 minutes to get the spice flavors all mixed in. Remove from heat and add the remaining Snap and Brandy (you don’t want to cook off all the alcohol, so it’s best not to add it all too soon). 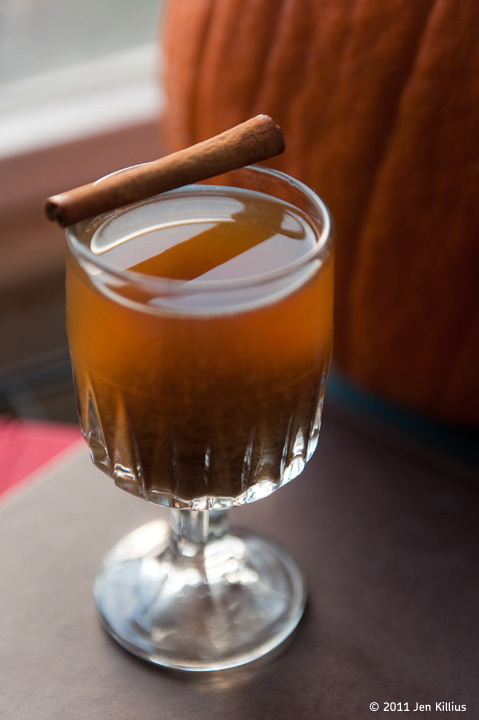 Serve as soon as it’s cool enough to drink with a cinnamon stick. Not necessary, but I pour into cups through a strainer to remove any errant cloves. NOTES: I’ve been tinkering with hot ciders for a few years now, subbing in rums, whiskeys, brandies, etc. It’s really hard to go wrong with hot cider, but I really like what the Snap did to this one, and I think this is my favorite so far. It also seems to taste better with unfiltered, organic cider. You’ll get a whole mess of sediment in it, but if you just stir it up with the cinnamon, it distributes right back through the drink. I think I will serve this at thanksgiving! Thanks!